When you’re in a hurry, and in need of maintenance, Ron Tonkin Toyota’s Express Maintenance is for you. Ron Tonkin Toyota’s Express Maintenance includes factory-trained technicians performing important inspections or services to ensure the safety and reliability of your Toyota. You can check in as you arrive, or at your convenience with any of our qualified advisors. Enjoy your short wait in our customer lounge while enjoying gourmet coffee, watching Satellite TV, or enjoying a snack from our Avanti market. Our goal is to have you back on the road as quickly as possible. Ron Tonkin Toyota’s Toyota Rent-a-Car department offers you daily or three-hour rental options. • And ensure you’re comfortable in your TRAC vehicle. We appreciate your business and look forward to exceeding your expectations! 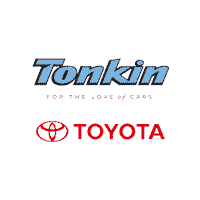 Scheduling your vehicle’s maintenance is easy with Ron Tonkin Toyota’s online system. First, select Schedule Service from the Service landing page. Then you can choose to ‘Log In’ if you have an account, or continue as a guest to book the next available appointment. Choose ‘Find My Records’ to look up your vehicle by phone number and zip code. Now, choose if you are coming in for express maintenance or for something more. You will be able to schedule your factory maintenance, submit your vehicle concerns, and access additional preventative maintenance items. You can even check your Toyota for recalls. Your services will appear on the side with estimates, if available. If you have continued as a guest, enter your name and phone number, then select either Email or SMS appointment confirmation and click ‘Book Appointment’. Your advisor will be notified of your scheduled appointment and will be awaiting your arrival.